The Search for Happiness Begins with You – Kathy J. Marshack, Ph.D.
Are you a happy person by nature? The real answer may surprise you. Your general disposition may tend toward happiness, yet science is discovering that people aren’t hardwired to be happy or not. Which has more power – negative or positive emotions? What personality traits contribute toward more happiness? What age group is the happiest? What brain chemicals affect your happiness level and how do you activate them? Should you always keep a stiff upper lip in order to become a happy person? Which creates longer lasting happiness – pleasure or gratitude? Is your health and happiness affected by the movies you watch? I encourage you to have some fun today and take this quiz. 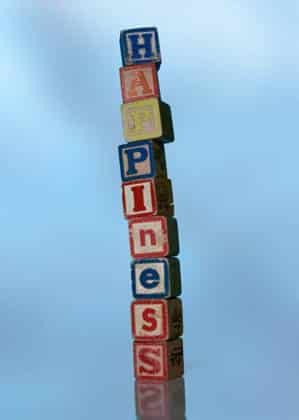 If you want more information on happiness, I’ve compiled a list of some of my past articles for your convenience. Happiness Is Up To YOU! Are You Happy with the Money You Earn? Everyone wants happiness, yet it’s so elusive for many in the U.S. Here in Oregon and Washington, we have dreary, rainy days that contribute towards depression. Economic struggles, family strife, and other external factors add to unhappiness. Yet you can learn techniques to successfully deal with all of these challenges as you remain hopeful and positive. If you live near Portland, OR/Vancouver, WA please contact my office and schedule an appointment. It’s time to feel happy again. Take the WebMD Happiness Quiz. It will stretch your understanding of happiness. I didn’t even get 100%. When you’re done, come over to my Facebook page and tell us how you did.